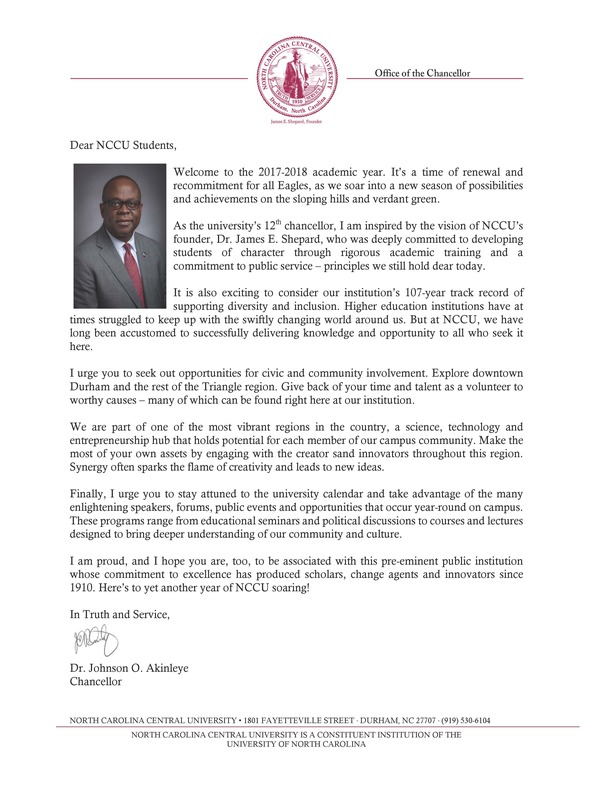 The mission of the Department of History at North Carolina Central University is to prepare its students to succeed in the field of history by offering them rich theoretical knowledge and relevant practical skills to help them excel intellectually, and professionally. As a reflection of the cultural and intellectual diversity of the global community, the department will promote multi-cultural learning, interdisciplinary collaboration, top-rated research, and state-of-the-art technology and hands-on experience. The Department of History offers a major and minor in history at the baccalaureate level. The primary mission of the department is to educate both undergraduate and graduate students in the search for truth through excellence in teaching, scholarly research, and service, thus developing students with knowledge, technological competence, aesthetic and ethical values to be successful in a global society. The Department will provide history majors and minors with an educational environment and experience that will prepare them to teach at the secondary school level, to pursue graduate study, or to find employment in law, government service, industry, and other public and private sectors. Students majoring in history must complete a minimum of 42 semester hours of courses beginning at the 2000 level, including HIST 1100 , at least one seminar in history, and a concentration or double major. The history minor must complete a minimum of 21 semester hours of courses beginning at the 2000 level, including HIST 1100 and at least one seminar in history. A concentration in history requires 12 credit hours and at least 9 of those hours must be in the same area. A minor in history requires 21 credit hours in history. The department also offers certification in secondary social studies. Students seeking teaching certification also must complete a minimum of 42 semester hours and the required education courses.